I like to start my inspections by walking the exterior of a house. I take a lap to make sure I can get into the crawl space, just to see where things are. I’ll get on the roof when conditions allow because it lets me catch things like potential leaks. If I can’t get on the roof, I’ll set my ladder up at 5 or 6 different spots. 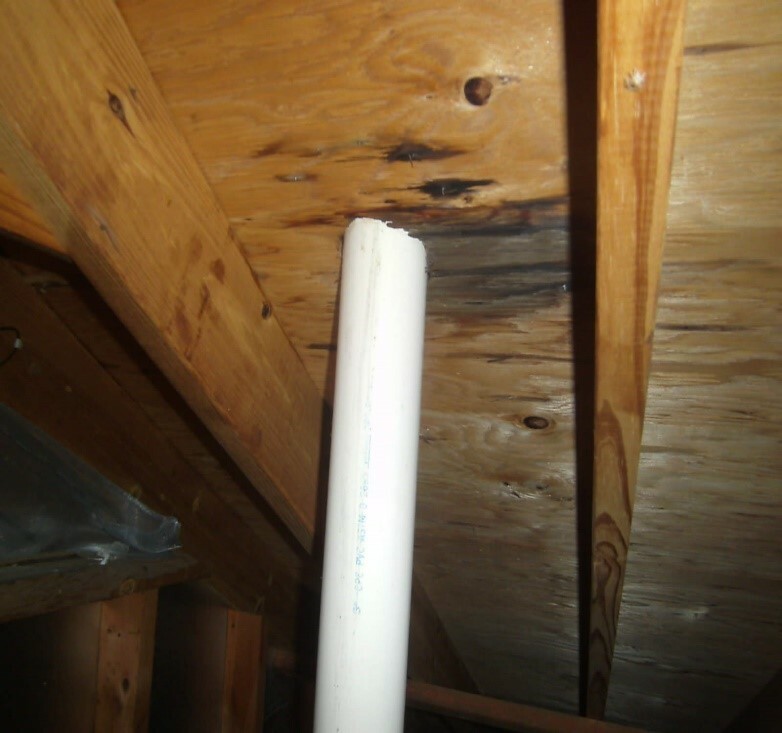 This plumbing vent pipe is the location of a roof leak. The flashing that is supposed to keep water from running down the vent pipe is no longer sealed, to the point where it allows water to get inside the structure. 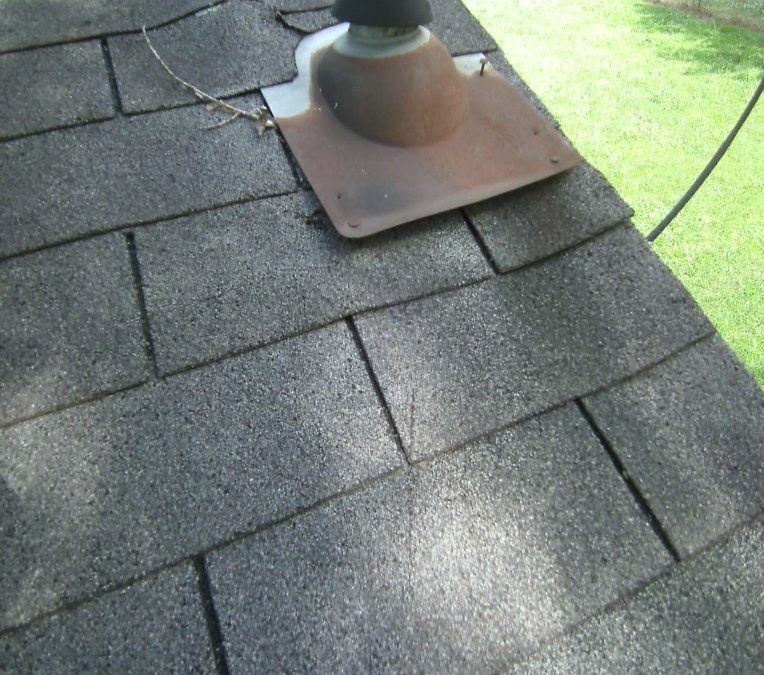 The shingles are not that old but the flashings were not replaced when a new roof was put on. From this, I know that I need to look for water damage inside the attic. 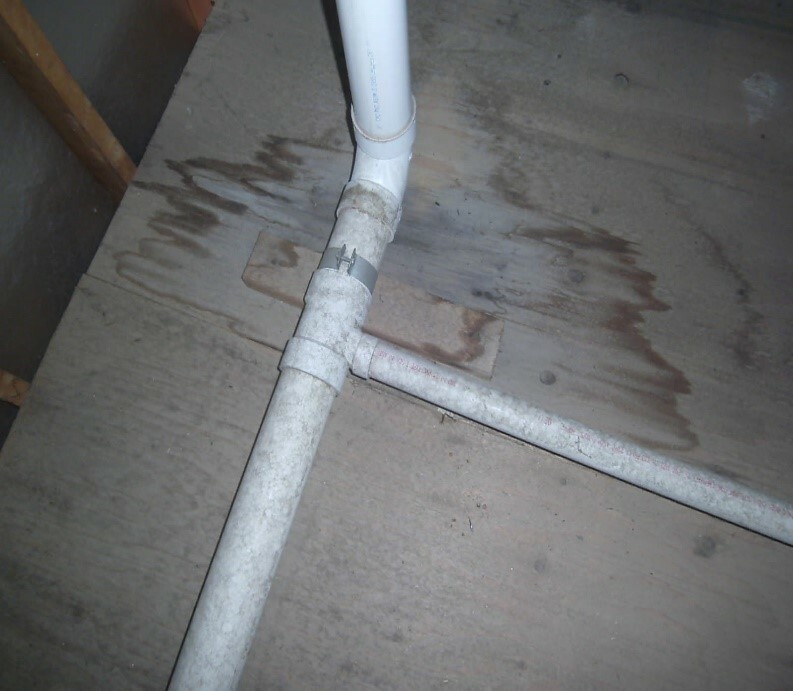 When I get inside the house, I start looking for water damage in the general location of the plumbing vent. In this situation, I found quite a bit of damage to the roof sheathing. It is not a requirement for home inspectors to walk the roof, but I really try to when it’s safe. It all depends on the pitch, water, ice, and a few other factors. The fix: Most home improvement centers will sell new vent pipe flashing for under $20. I would recommend installation by a professional roofing contractor if you are not comfortable doing this yourself.